Sic Bo is played by millions world wide – yet in the UK and Europe many people have never heard of it. It’s a great addition to your repertoire of online casino UK games, as it’s easy to learn and fun to play. At first sight the board looks busy and complicated, but that’s just because pretty much everything you can do is illustrated. Sic Bo (pronounced “See Bo”) is an ancient Chinese game of chance, played using three dice. Chinese workers emigrating to the US introduced the game there about a hundred years ago, and now most US casinos feature it as one of their casino games. The game involves betting on how the three dice will fall, and there are bets on lots of different outcomes that could occur. It is in some ways similar to craps – but craps games are quite hard to find online, so Sic Bo could fill the gap for those who like dice games. You can bet as many times as you like, on different combinations. 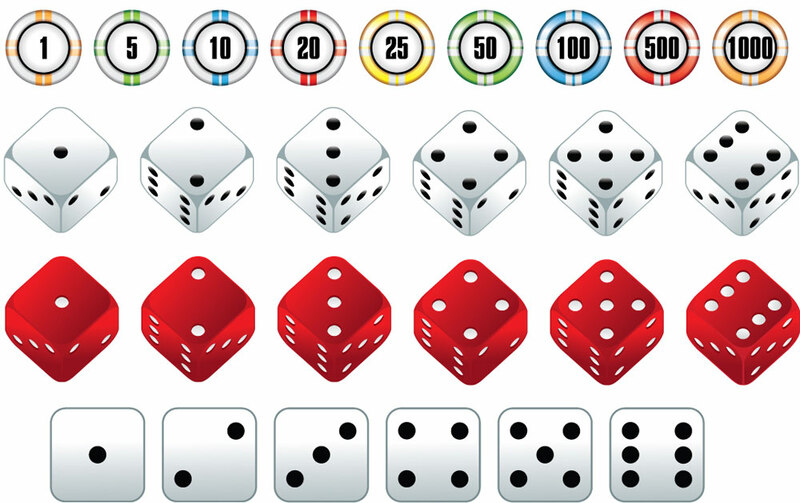 The payouts are based on the probability of certain results on the dice, with less likely combinations paying out more. Handily, much of this is actually written on the playing board, so you don’t have to remember it. Let’s look at the bets you can make and how they work, starting with the simplest and moving on to the more complex. Single – A simple bet that a particular number will come up on one of the three dice that are thrown. The numbers 1-6 are shown at the bottom of the game board. If the number you’ve chosen comes up once, you get paid 1/1. If two of that number come up, you get paid 2/1. And if you get the number on all three dice, you get 12/1. Note that this bet is very different from predicting a triple and betting only on that – explained next. Triple – With a triple bet, you place your bet on the top row, in the middle of the board. You can bet that a triple – any triple – comes up. If it does, you’re in for a 30/1 payout. Or you can predict a specific triple, such as three sixes and if that comes up, you get a brilliant 180/1 payout. Note the difference with betting on a single and getting three singles where you would get 12/1. Double – You bet that two out of the three dice will show the same number. This gets you a 10/1 payout but you have to be specific – you don’t have the opportunity to bet on any double coming up, as you do with the triple. Total – You bet on the total score when the dice are added up. In the middle of the board, you’ll see the numbers 4 to 17 and you can place a bet on the one you think will be the total. 3 and 18 are not shown because they are used in triples. Written underneath each total score, is the amount you’ll win if you’re right, so there’s nothing to remember – dead simple compared to poker! 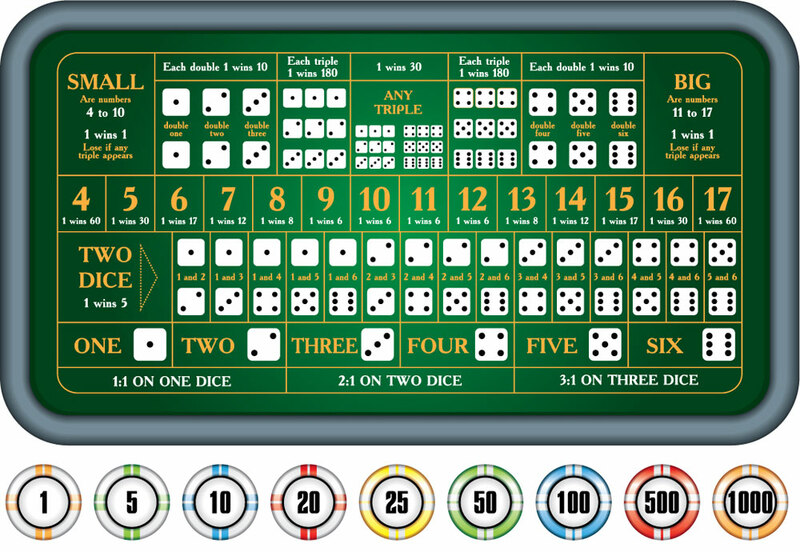 Combination – If you look below the row of total numbers, you’ll see two rows showing pictures of dice combinations. Your bet is whether the particular combination will come up on two out of the three dice that are used. The payout is a tasty 6/1 for any combination. The online casino UK scene is giving many more people the chance to enjoy Sic Bo and it’s becoming one of the more popular online casino games. As you can see, Sic Bo rules are straightforward, and the gaming board shows you how to play Sic Bo, by illustrating the possible bets.